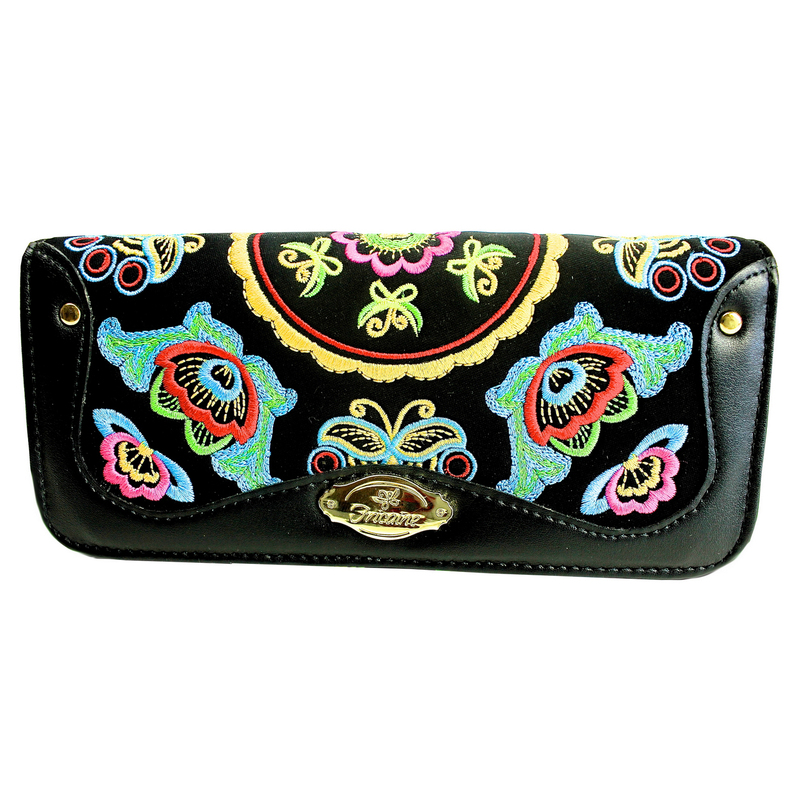 Exotic Luxury Purses come in different shapes, sizes and colors. 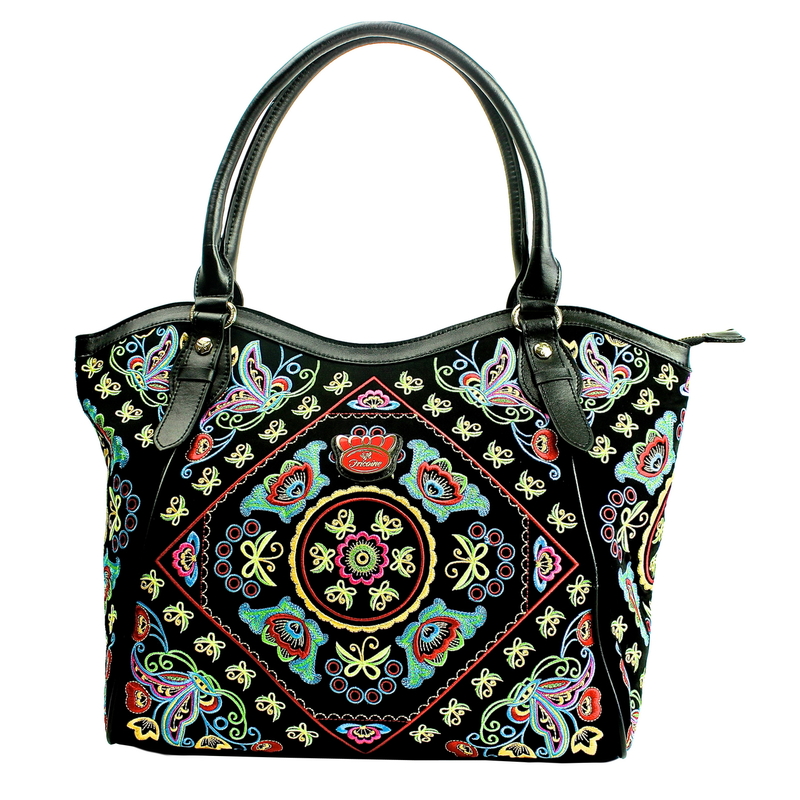 However, not many exotic handbags can compare to the Fricaine Alake Embellished Exotic Bag. Class. Sophistication. Allure. 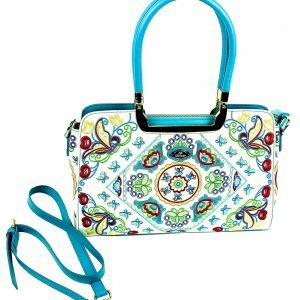 Those are just some of the many adorable attributes that this trendy exotic purse bestows on any discerning woman. 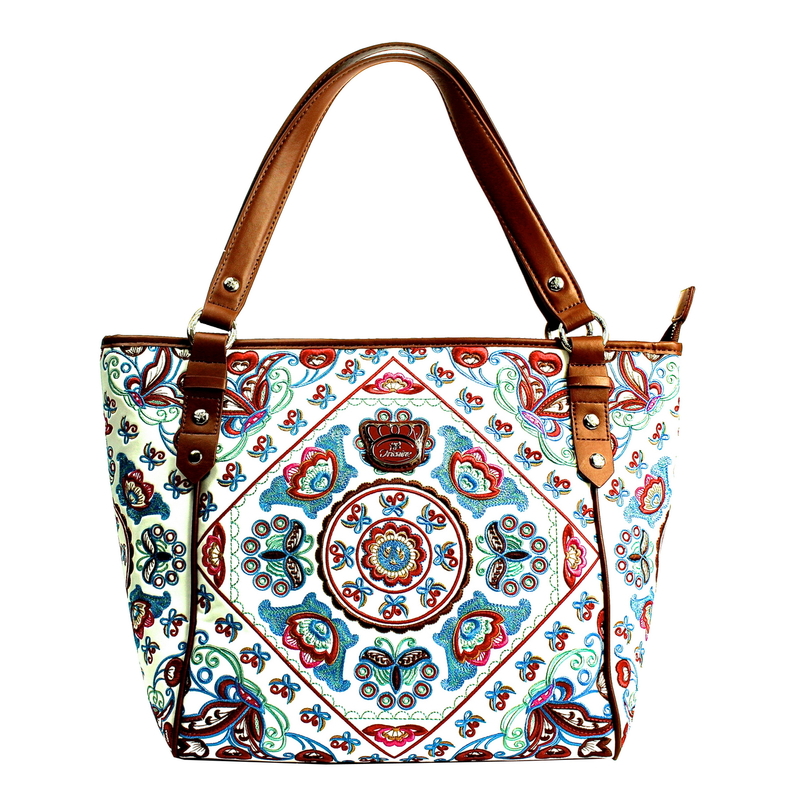 A flagship piece in our Embroidered Exotic Bag Series, surely, this is a head-turner anywhere you go. It is convenience for the very busy woman who needs room, structure and many compartments. 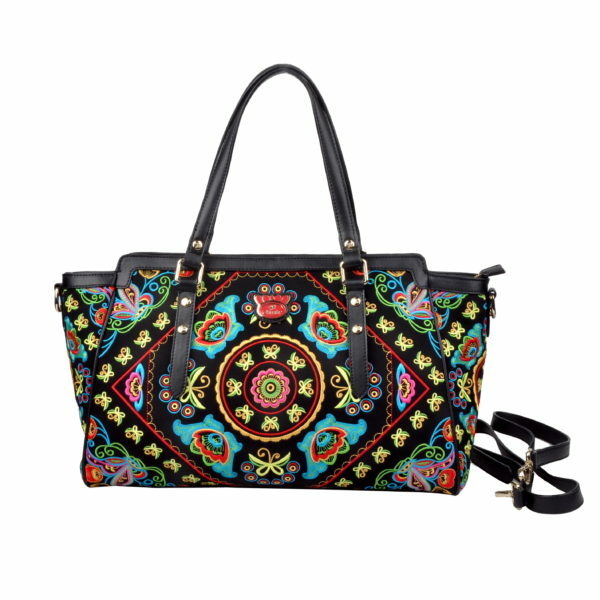 This exotic purse is specially built by combining custom-made high-quality micro-fiber leather with proprietary multi-colored embroidered pieces. This is truly one of the gems in the entire Fricaine collection and is sure to set any woman apart from the crowd.